Last drinks have been served at the former Roxbury Hotel in Glebe, with plans for the property to be converted into student accommodation. The pub sold for $5.55 million this month, and the new owners are hoping to give 180-182 St Johns Road a makeover. The pub and adjoining terrace will be turned into 25 self-contained units for students if the plans are approved. Taking advantage of the close proximity to the University of Sydney, the new student accommodation will compete with other venues including nearby Unilodge. The new buyers have a strong history in the student accomodation business, with other projects across Sydney. Construction has recently finished on a new four-level carpark at Ashfield. The NSW government has announced a trial for the carpark that would reward Inner West commuters over shoppers and local workers. “I’m so glad they finally got rid of the old carpark and built a bigger space with lots of levels. I think this is the first good initiative by Ashfield Council,” said one Ciao reader. The plan would allow train commuters to park for 18 hours free using their opal card, while others would be required to pay to enter the carpark. Those who use the car park without travelling on the train would incur hefty fees. The owners of the Enmore Theatre have asked the NSW State Government to intervene and review the role of police in regulating the arts sector. 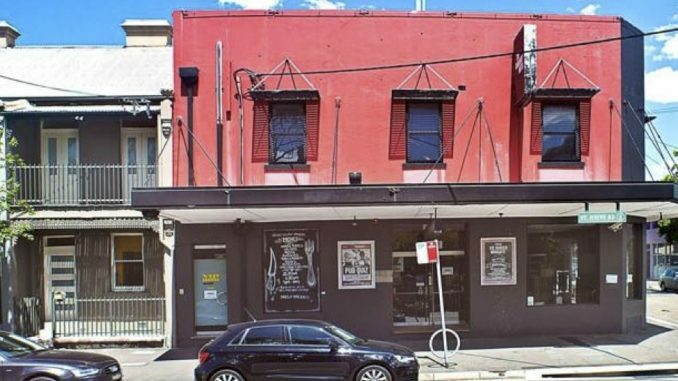 Century Venues, which owns or manages the Factory Theatre, Metro Theatre and Sydney University’s Manning Bar, along with Enmore Theatre have slammed the excessive legislation, and asked for assistance to ensure viability of the venue in the long-term. The appeal for regulatory reform and legislative change comes after the City of Sydney Council asked residents to participate in a late night trading review, the first in more than 10 years, to help shape the future of the city’s nightlife.